Allen is General Counsel of Stone Key and also serves as the firm’s Chief Compliance Officer. He has over 30 years of experience as a corporate and securities lawyer, with expertise in a wide variety of matters, including mergers and acquisitions; leveraged buyouts; venture capital; joint ventures; public offerings; private placements; and restructurings of public debt securities. Prior to joining Stone Key, Allen was a Senior Vice President and Associate General Counsel of JPMorgan, where his responsibilities included providing advice relating to various JPMorgan private equity investments. Previously, Allen was a Senior Managing Director in the Legal Department of Bear, Stearns & Co. Inc., which he joined in June 2005. 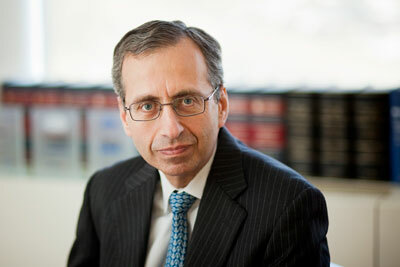 At Bear Stearns, Allen served on the Bear Stearns Fairness Opinion and Valuation Committee, provided legal advice on mergers and acquisitions to the firm’s investment bankers, was Chief Compliance Officer for Bear Stearns Merchant Banking and worked on various Bear Stearns proprietary investments. Prior to joining Bear Stearns, he was a partner in the Corporate Finance Group of Morrison & Foerster LLP from February 1998 to June 2005. Allen worked at Skadden, Arps, Slate, Meagher & Flom LLP from September 1979 to February 1998. Allen is a member of the New York Bar and has served as a member of the Committee on Mergers, Acquisitions and Corporate Control Contests of the Association of the Bar of the City of New York and on the M&A Subcommittee of the Securities Industry and Financial Markets Association. Allen received a J.D. from Harvard Law School and a B.A. in History and Economics from Columbia University.